Business, design, technology, and marketing. At Barrel, we approach every paid social ad campaign with fresh ideas and a new perspective. It’s always exciting to start a campaign and see what intriguing creative concepts our team comes up with. Our success, in part, can be attributed to a framework we call The Barrel Emotion Index, which allows us to structure unique campaigns proven to resonate with audiences. The Barrel Emotion Index allows us to prepare briefs and conceptualize campaigns with copy and creative that’s proven to work. It’s the secret sauce that fuels every campaign we work on — the reason we can make unique, engaging ads for our clients. It allows us to analyze trends by industry, brand, touchpoint, and a customer’s position in a purchase funnel, and then identify how to use our creative to generate the most desired consumer behaviors. 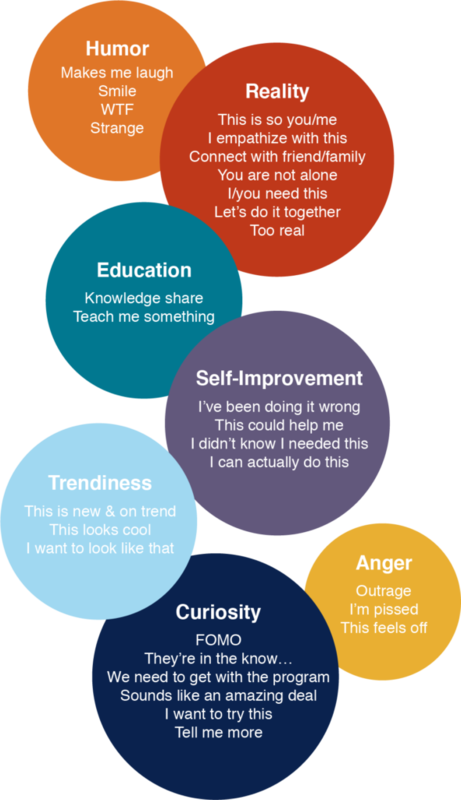 One source of inspiration for this framework was a Ted Talk given by BuzzFeed Publisher Dao Nguyen, in which Nguyen dissects what makes content go viral. In the video, Nguyen explains how BuzzFeed uses what she calls a “Cultural Cartography” to create content that will provoke an emotional reaction in the audience. In essence, the audience is “hiring” a piece of content to do a job for them, or to make them feel a certain way. Take, for example, the publication’s infamous watermelon video on Facebook Live, in which two employees strapped rubber bands around a watermelon until it exploded. That video was intentionally designed, or “hired,” to provoke a specific response in the audience: tension and suspense. More than 800,000 people tuned in to watch simultaneously — proof that the video did its job well. This got us thinking about the nature of digital content — aren’t our social feeds just another channel where we consume different pieces of content? And shouldn’t those pieces of content provoke different emotional reactions, just like any other? Ineffective ads, on the other hand, often don’t provoke any emotion at all, or they stop after the primary emotion, making them easier for the viewer to ignore altogether. “Tell me more”: Away captures the attention of viewers by invoking a feeling of intrigue in viewers through posing a question that entices viewers to click to find out more. 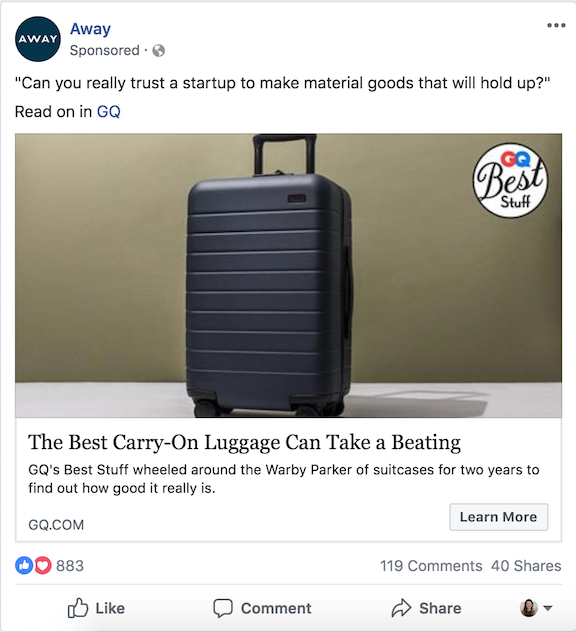 “I can actually do this”: Quip uses dreamy, simple creative and copy that emphasizes the ease and importance of using their products. Above is an ad created by Barrel, where you can see the Emotion Index in action. The Facebook video ad for Hurom seamlessly incorporates elements of Education, Self-Improvement, and Curiosity. This ad alone led to hundreds of email sign-ups that converted into Hurom customers. 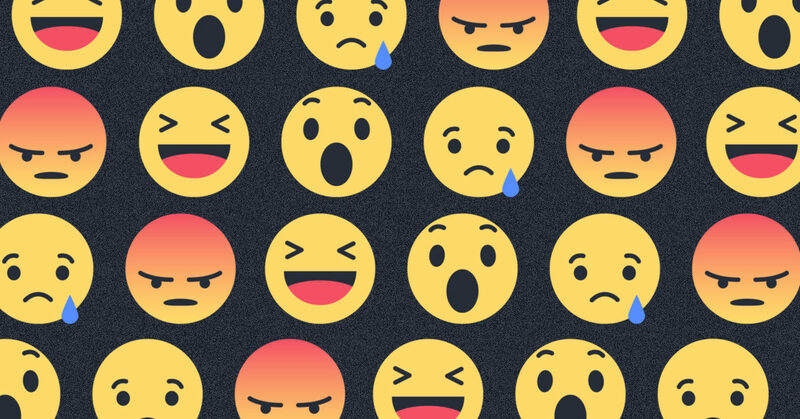 Despite constantly evolving and emerging digital platforms, the Emotion Index allows us to have a detailed, data-backed approach when it comes to copy and creative, and maintain an understanding of what motivates customers to do something. The data we’ve pulled from our collection of paid social ads allows us to view the digital advertising landscape holistically and return to concrete examples of what specific emotions look like when conveyed through ads. A recent report from the Harvard Business Review suggests that emotional responses to an ad “provide a better gauge of customers’ future value to a firm than any other metric, including brand awareness and customer satisfaction, and can be an important new source of growth and profitability.” Using the Emotion Index allows us to create content that resonates with consumers and encourages higher engagement. We know there are a lot of ads out there. The Emotion Index is about cutting through the clutter, and getting to the heart of our audience. We believe that the best ads are the ones that make people feel something. 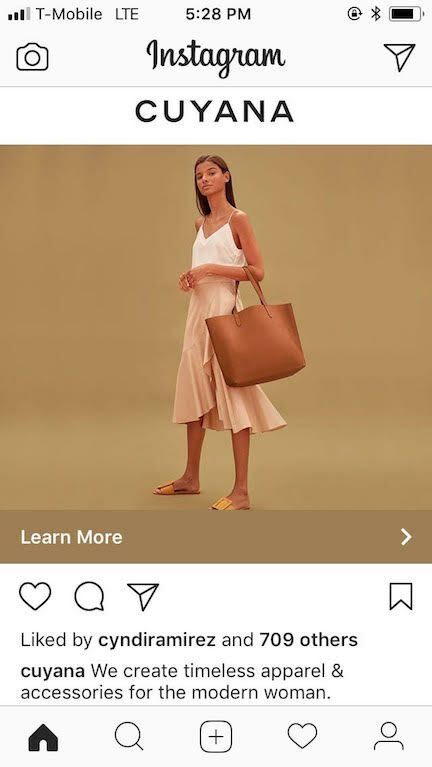 If our ads can make a potential new customer feel something, and take a step closer to conversion, then we’ve discovered something really compelling. Because the Emotion Index is rooted in the very emotions that inspire human connection, using it as a key element of our creative process allows us to come up with concepts that resonate with audiences in a way that other ads just don’t. Barrel is a creative and digital marketing agency in New York City. This is a blog that serves as a resource for our clients. Learn more about Barrel at www.barrelny.com.